"Safe water - improvement of public authorities and emergency services to respond to the risks associated with water resources in the Lviv region"
Lviv State University of Life Safety together with the Main School of Fire Service (Warsaw) successfully implemented in 2015 the project "Safe Water - improvement of public authorities and emergency services to respond to the risks associated with water resources in the Lviv Region" under the "Polish aid" program, funded by the Ministry of Foreign Affairs of Poland. The aim was to familiarize with the system of rescue operations on the water in Poland and to improve the system of rescue on waterbodies of Lviv region. Within the project seminars and scientific and practical conference were conducted. 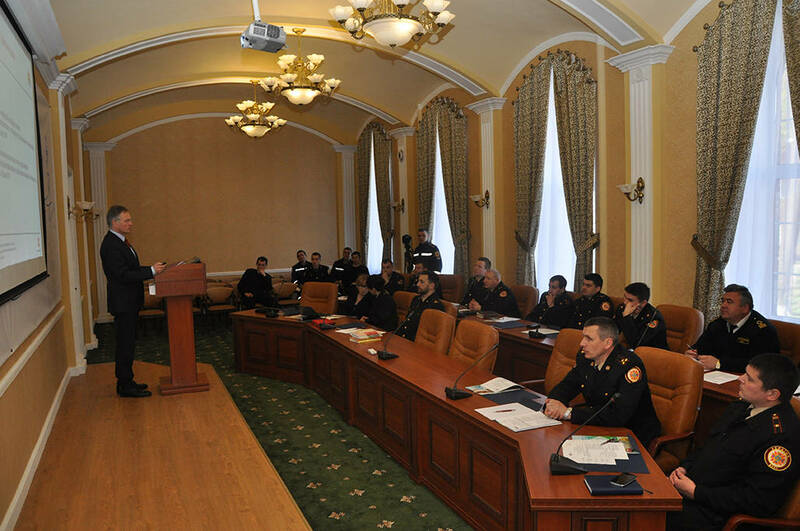 On April 16, 2015, an international seminar took place at Lviv State University of Life Safety. It was attended by representatives of Lviv State University of Life Safety, School of State Fire Service of Poland, Lviv Regional Administration and Lviv City Council, MD of SES of Ukraine in Lviv region. 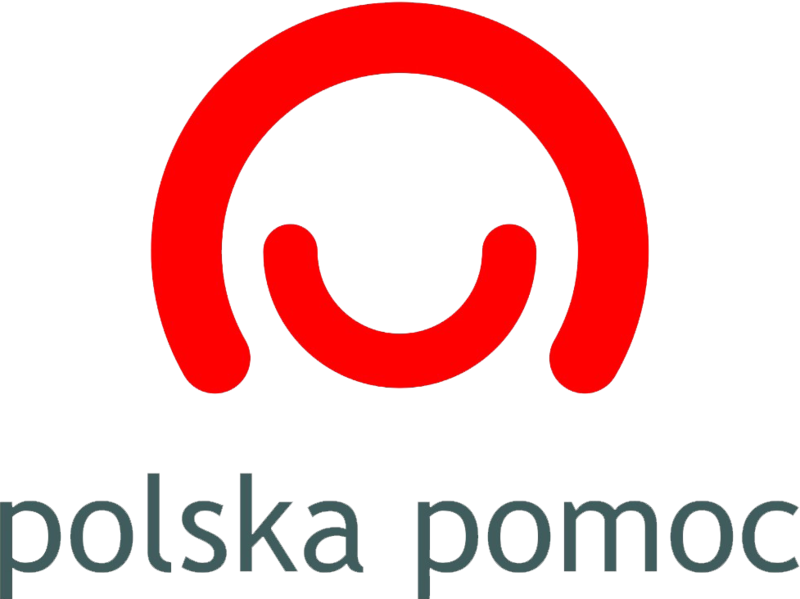 On June 8-12, 2015 theoretical and practical training in Warsaw was held. 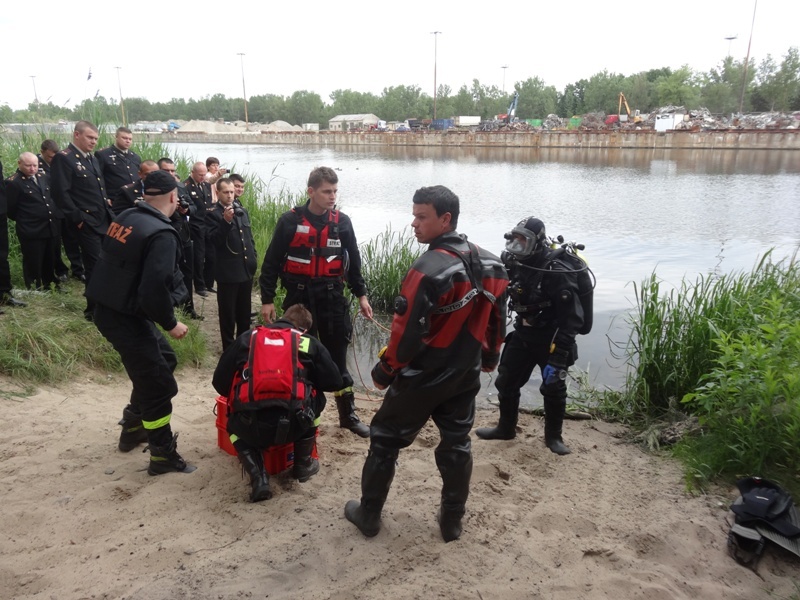 Training was conducted in two phases: theoretical - from June 8 till June 10, 2015 at the Main School of Fire Service in Warsaw and practical - from June 11 till June 12, 2015 on the Zhehzhynsk lake. During theoretical exercises participants had the opportunity to get acquainted with the main threats to water areas (including environmental, epidemiological and infrastructure), system rescue on the water in Poland, and main features of the first aid. Basic rules of drowning rescue, capture techniques, transporting and first aid providing rules were demonstrated. On October 15, 2015 within the project International scientific-practical conference "Management of safety on the water" was held at Lviv State University of Life Safety. Representatives of Lviv State University of Life Safety, the Main School of the Fire Service in Poland, MD of SES of Ukraine and Lviv City Council took part in it. Delegates discussed the features of civil defence system to prevent emergencies on water, environmental security, cooperation of local governments and non-governmental organizations in the field of water safety. Additionally, within the project LSULS was provided with modern rescue equipment. Within the Concurs "Małych grantów", funded by the Ministry of Foreign Affairs of Poland an agreement between Lviv State University of Life Safety and the Embassy of Poland in Kyiv was signed on October 26, 2015, under which the project 693/2015 / MG2015«Increasing the safety level of civilian population of Lviv, with a particular focus on adolescents» was successfully implemented. The main goal of the project was practical and theoretical training of firefighters focused on work at residential sector. There were also conducted theoretical and practical training for 60 pupils of high school age. The main purpose was to teach teens the rules of fire safety and the priority actions in the event of fire. During the project training materials for the theoretical course on the firefighters' action during rescue operations at residential sector and in confined spaces were implemented. Two-day practical training on the material was done with the group of 40 firefighters, using a mobile simulator ML 2000, equipped with modern training appliance. 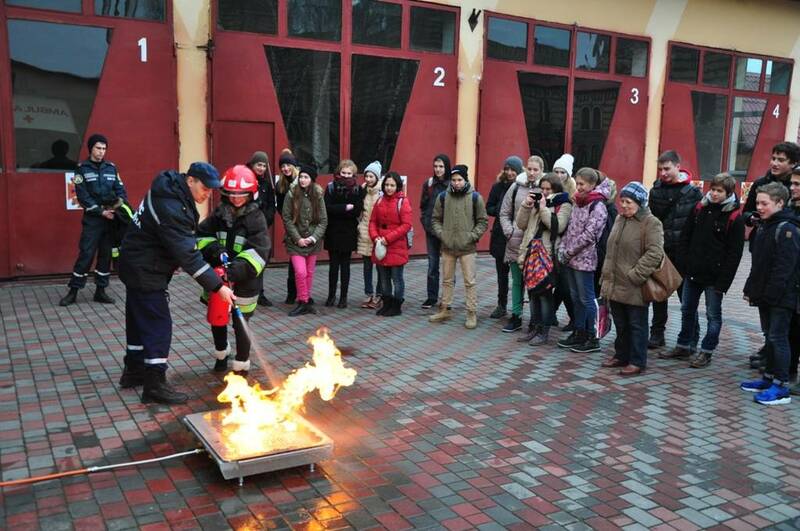 From December 15 till December 16 2015 theoretical and practical training with high school pupils was conducted at Lviv State University of Life Safety, which included a review of the evacuation rules, the use of fire equipment (fire extinguishers) and learning the principles of the first aid.